Bitcoin is a currency of the internet and its the first decentralized digital currency, bitcoins are digital coins which can be sent through the internet. Bitcoin is an innovative payment network and a new type of currency. Bitcoin uses peer to peer to operate without any central authority or banks, the issuance of bitcoins is carried out collectively by the network also the managment of transactions . Bitcoin is an open source, its design is public, nobody controls or owns bitcoins and everyone can participate, through its many but unique properties, Bitcoin permits interesting uses, which are not covered by any previous payment system or method. Bitcoin is a virtual currency. which means, you can not play in any form as with coins or bills, but can be used as payment in the same way as other currencies we have. As in the case of money we have in our back accounts, Bitcoin increase and decrease just as we withdraw or deposit , the only difference is that there is no possibility of monetizing, for example, when we withdraw money from a ATM. In this blog, I will tell my bitlanders friends about the currency of the internet, Bitcoins. What is bitcoin? You already have read that what bitcoin is in the first paragraph of my blog. Now I will tell you about its advantages and as much as I can to let you know about all, how it is uses, how it is operated. Speaking of its uses: Bitcoins can be used for almost everything all over the world, its a well known internet currency so is used by everyone around the world, can be transfered online, you can shop online with bitcoins, you can buy a house, in fact it can be used for anything to buy just as the actual currency like Euro €, Dollar $ etc. While looking at its advantages: It has the rapid operation, its has open source anyone can look at it, you can transfer it through internet from you computer or mobil device, it can be transfer person to person or to a company to company, person to a company, company to a person, it is changeable or you can say convertable, bitcoins can be converted to any currency you want, for example, Euros, Dollars, Rupees etc. As we all know, while doing a transaction or transfering an amount from on account to an other account we have to pay some charges and sometimes these charges are really get high. For each transaction we do we have to pay a % of our amount to the company or bank related, Bitcoin has this advantage, which is its transaction charges are very low and sometimes nonexistents, what I'm trying to tell you here is that bitcoins have very low commission for its movements, either you are buy or selling or just transfering to an other account of yours or to an account of someone else. 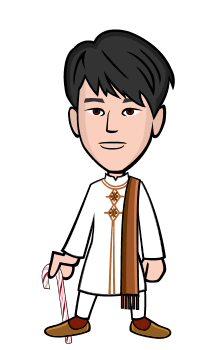 Now I am going to tell you about bitcoin currency's origen, how it came to our word and by who created this currency and when. Bitcoin was created in 2009 when Satoshi Nakamoto, pseudonym of one or more persons, decided to launch a new electronic currency whose speciality is that it can only be served to make operation within the netwrok of networks. Bitcoin refers to both the currency and the protocol and P2P network on which it rests. Undoubtedly what makes Bitcoin different from other traditional coins or/and other virtual means of payment as Amazon coins, is decentralization. Or what is the common, Bitcoin currenct is not controlled by any government, institution or bank, whether state or any private nature, like Euro is controlled by European Central Bank (ECB) and dollar is being controlled by Federal Reserve USA. Bitcoin currency is controlled carried out buy the users themselves, indirectly through their transactions and through exchanges P2P (peer to peer). This P2P structure and lack of control makes this currency imposible for any authority to manipulate value or cause more inflation to production. In fact, production and value is based on the law of supply and demand. Another interesting detail is that Bitcoin has set a limit of 21 million coins, which will be reached in 2030. If talking of value of one bitcoin, depends on which currency you are wishing to convert your bitcoin, for example in Euros, Now I am going to tell you about the value of one bitcoin and how it has been changing. Bitcoins value is not always the same, it increase and decrease just like other currencies values. As I mentioned earlier, Bitcoin's value is based on supply and demand and is calculated using an algorithm that measures the amount of movement and Bitcoin transactions in real time. 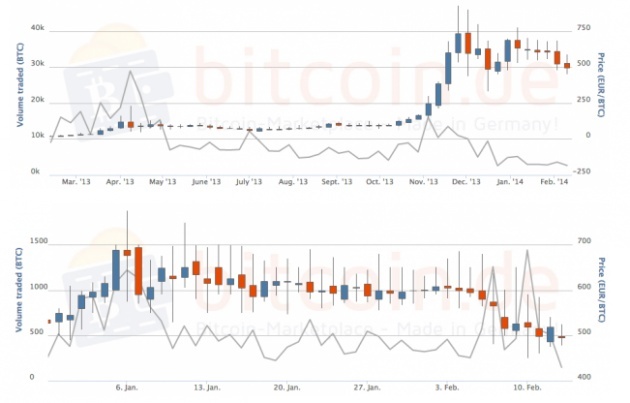 Currently the price of Bitcoin lies, euro up or down, around 341 euros (to December 2, 2015), although this value is far less stable because Bitcoin is ranked as the most unstable currency forex market . For example, analyzing the period between August 2012 and August 2013, it reached a peak value of 134 euros in April 2013 although early February its value was around only 16 euros. In fact, its value has increased 600% in the first three months of 2013. Details by which many experts think that this is a tremendous bubble filled with speculators who, sooner or later, eventually explode. Here are some updated tables, the first sample of Bitcoin historical evolution, from its beginnings to the year 2014. As you can see, its value has increased exponentially. The second shows the evolution from early 2014 until mid-February. For operating bitcoin you just have to download any of the applications available, there are multiple options to any operating system, computer or mobile as iOS or Android (or multibit Bitcoin Wallet, are just some options). Using them you can create your Bitcoins wallet account, that consists of a private key associated with a public key with which you can perform operations. Thanks to the keys, the Bitcoin can not be forged and ensure that the user-to-user transactions are conducted safely. Getting bitcoins is not imposible, there are three ways to get bitcoins. 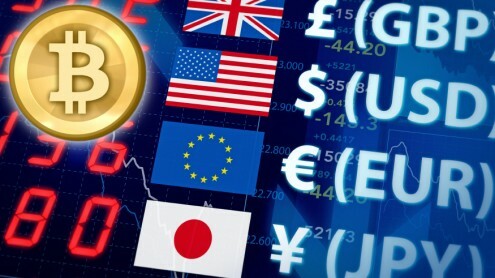 The first and simplest way is accessing any of the market of bitcoins as MtGox or Bitcoin.com, that allow conventional money exchange from euros or dollars to bitcoin. And you can also get or earn form the websites on internet, you have so many options available, just like this one, Bitlanders.com. Another way is the exchange for goods with other users, for example, the purchase / sale of things we use in our common life but paying with Bitcoins. The last, and strangest, is the "mining". This method consists in to use part of the resources of our computer in solving extremely complex math problems for exchange of Bitcoins. Currently about 25,000 people perform this task and about 25 Bitcoins are generated every 10 minutes, so this source for virtual currency is becoming more complicated, unless you belong to one of the group of miners working on the network. The legality of Bitcoin is easy to summarize "Bitcoin is legal in that place which accept as payment in a transaction" that easy and simple. Being out of control of any institution there is a legal vacuum on it. Moreover, as anonymous and encrypted transactions between two users, they are free of any fee or tax such as the VAT. Decentralization and anonymity, have made Bitcoin in the preferred fraudulent transactions such as the sale of drugs or money laundering payment. It is also the means of "official" payment underworld Internet. 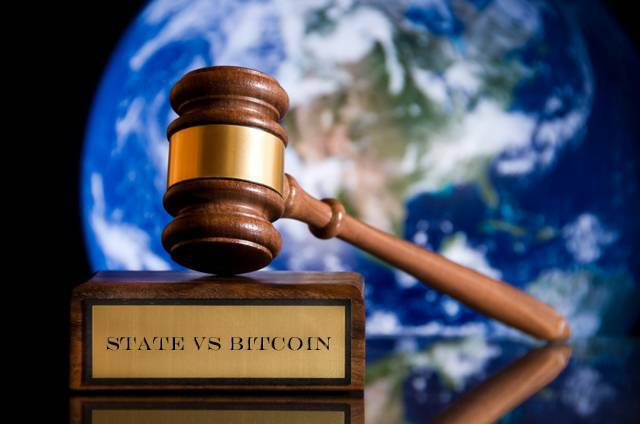 This has made government institutions and economic crime brigade USA (FinCEN) interrupted their "blind eye" and want to implement regulatory measures to Bitcoins transactions. Bitcoin allows you to pay with a mobile device in two easy steps: scan and pay. No need to swipe the card, enter a PIN or sign anything. All you need to receive payments Bitcoin is to show the QR code in your wallet application and let your friend scan your mobile phone or attach the two (using NFC technology). Bitcoin transactions are secured by military cryptography. Nobody can charge you money or make a payment on your behalf. As soon as you take the steps required to protect your wallet, Bitcoin will give you control over your money and a strong level of protection against many types of fraud. As with e-mail, it is not necessary to ask his family to use the same software or service providers themselves. Let them use their favorite. No problem; all of them are compatible because they use the same technology. The Bitcoin network never sleeps and has no holidays! 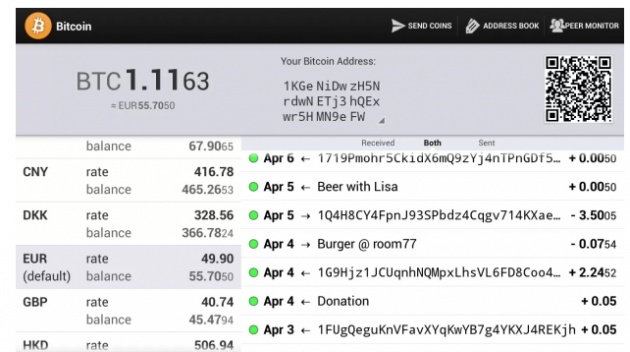 "Bitcoin allows you to send and receive payments almost zero cost". Except in special cases, such as tiny payments, no fees. However, you can choose to pay a small fee to voluntarily increase the priority of your transaction and compensate the people who run the Bitcoin network. With Bitcoin, there is no credit card number anyone can use to impersonate you. In fact, it is possible to make a payment without revealing your identity, almost as physical money. Still you should take note of what you need to protect your privacy. The high cryptographic security offered by Bitcoin can process transactions in a very effective and inexpensive way. The user can send and receive payments using the Bitcoin network with virtually no commissions. In most cases, you need not pay commissions, but the payment there for is recommended to speed up the confirmation of the transaction. Any business that accepts credit cards or PayPal knows the problem with payments that are subsequently canceled. Reimbursement fraud means less market reach and increase prices, which affect consumers. Bitcoin payments are irreversible and insurance, which means that the cost involved fraud longer lie with the traders. Bitcoins can be transferred from Africa to Canada in 10 minutes. In fact, Bitcoins have no real physical location, so you can transfer as many as you want anywhere without limits, delays or excessive costs. No intermediate banks make you wait three business days. Bitcoin also includes a feature that is not yet well known, that allows bitcoins can be used only if a subset of a group of people have signed the transaction (transaction calls "m n"). This is equivalent to the multi-signature used by banks today system. Many organizations are required to submit accounting documents on its activities. Use Bitcoin offers the highest level of transparency because it can provide all the information necessary for members to verify their salaries and transactions. The non-profit organizations can also post as many donations received.